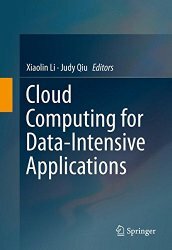 This book presents a range of cloud computing platforms for data-intensive scientific applications. It covers systems that deliver infrastructure as a service, including: HPC as a service; virtual networks as a service; scalable and reliable storage; algorithms that manage vast cloud resources and applications runtime; and programming models that enable pragmatic programming and implementation toolkits for eScience applications. Many scientific applications in clouds are also introduced, such as bioinformatics, biology, weather forecasting and social networks. Most chapters include case studies. Cloud Computing for Data-Intensive Applications targets advanced-level students and researchers studying computer science and electrical engineering. Professionals working in cloud computing, networks, databases and more will also find this book useful as a reference.